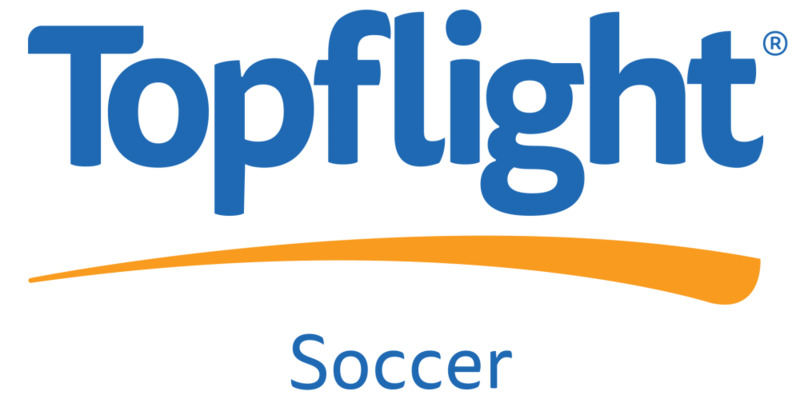 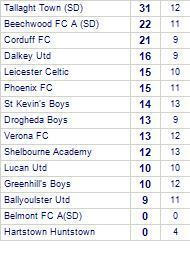 Shelbourne Academy share points with Verona FC. 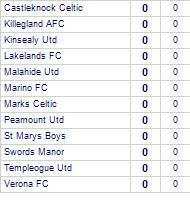 Verona FC have yet to be beaten away from home. 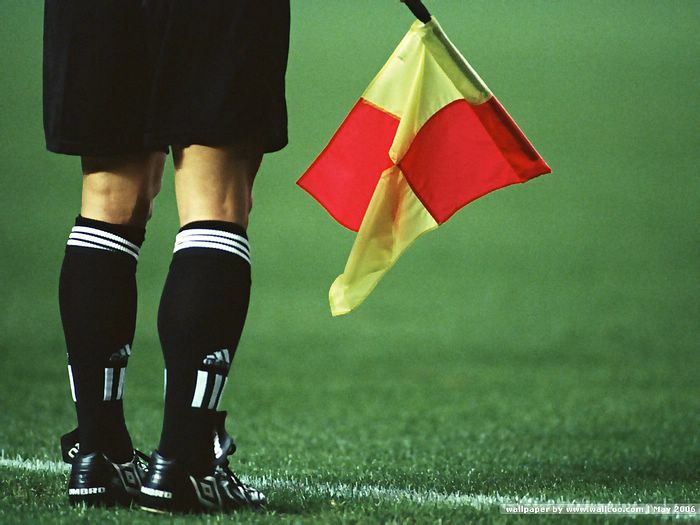 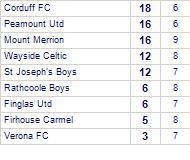 Beech Park suffer defeat to Sacred Heart. 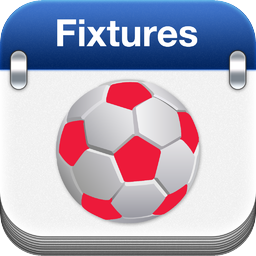 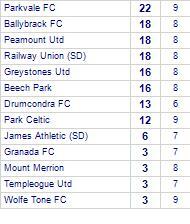 Beech Park have won 3 out of 4 home games. 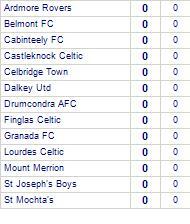 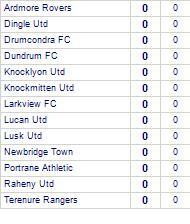 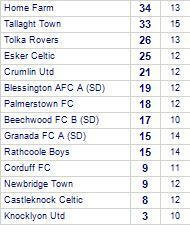 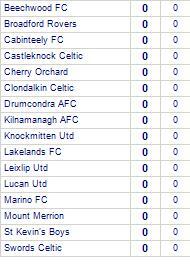 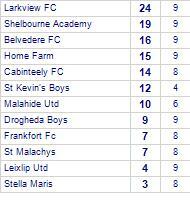 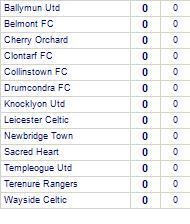 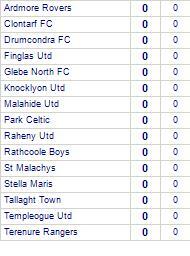 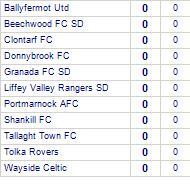 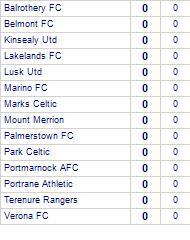 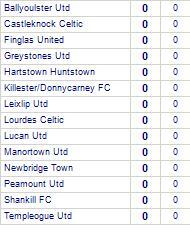 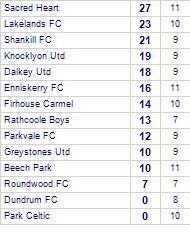 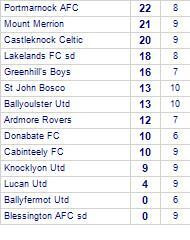 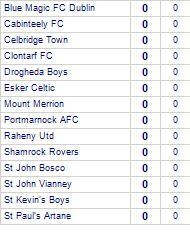 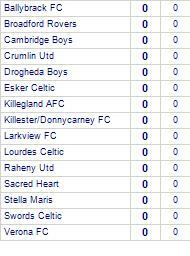 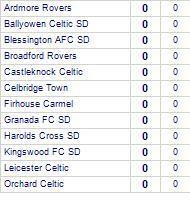 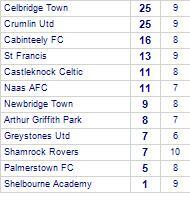 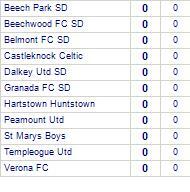 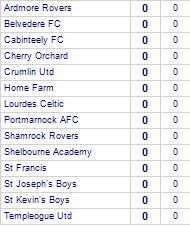 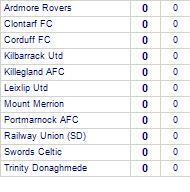 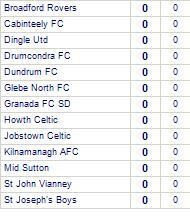 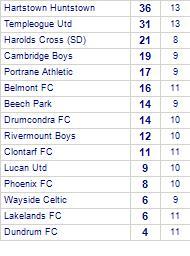 Sacred Heart are currently on a winning streak of 4 games.